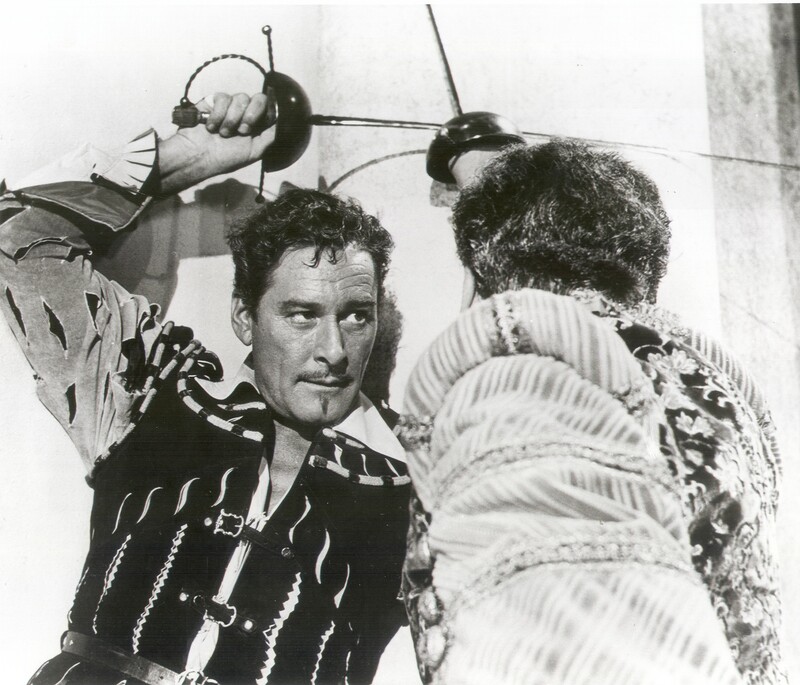 When I decided to include a sword fight in Daring and Decorum: A Highwayman Novel (and how could I not, with Ellen Kushner’s The Privilege of the Sword as a primary influence? ), I faced several problems. First, how realistic should the fight be? A duel with swords in the 1790s was nothing like what we might imagine from swashbucklers such as Robin Hood or Pirates of the Caribbean. As these two articles by fight choreographer Terry Kroenung point out, they were vicious, bloody affairs, and much deadlier than duels with pistols. Hollywood has corrupted our concept of the sword duel. It too often presents us with a pair of evenly-matched, exquisitely-talented, professionally-trained fencers whose icy demeanor never cracks as they thrust and parry with elegant abandon, like a pair of psychic ballet dancers. While that makes for good theatre, it would not have been the norm in late Georgian England. While verisimilitude is great in a historical novel, it’s also a work of fiction, and therefore entertainment. I went more for the “good theatre” aspect as I had Robin, the highwayman, face Anthony Cranford, Viscount Burnside. The fight needed to have an arc, not to mention opportunity for dialogue, so a few quick slashes and thrusts wouldn’t work. (In this conversation on genre, Neil Gaiman and Kazuo Ishiguro talk about the differences between lightning-fast samurai sword fights and the more drawn-out, swashbuckling western style). Also, since the goal of this scene was more revelation than mayhem, both combatants needed to survive relatively unscathed. Anthony may have had the better training, but a season of dissipation has left him slow and prone to tire easily. Robin, on the other hand, keeps in practice as part of the highwayman’s trade. So I thought it only proper to give the highwayman a rapier. To justify the use of such an old-fashioned blade, I gave it a twisted kind of sentimental importance as an old family heirloom of Robin’s. So the highwayman has two advantages in the length of blade and in more recent practice, but also has a handicap in that wounding or killing Anthony is the last thing the outlaw wants. Thus the fight takes longer than an actual duel of the period might have. The characters have plenty of time for give-and-take as the highwayman seeks to hold Anthony off without hurting him, hoping all the while that the young lord will turn and flee. At first, they merely stood there, their swords inches apart, the tips making small orbits about each other, while Robin made cutting remarks about the excellence of Anthony’s form, posture, and technique. Anthony attacked once or twice, lunging forward, but each time the highwayman repelled him. “I see all those lessons have not gone to waste,” Robin said. Anthony remained silent, his face grim with concentration. As the fight went on, it seemed to me that Anthony had more style and elegance, while Robin fought with the agility and ferocity of an alley cat. As their exchanges became more frenzied, the highwayman thrust and parried like a tom swiping with its claws, but then had to dart out of the way of Anthony’s more sophisticated counter-moves. To find out how this duel turns out, you’ll need to read the novel. You can pre-order it through any of the links on this page.